Casino Heroes will then reward you with a bonus (Welcome Bonus is for new players only). The terms and conditions of the bonuses vary between different casinos and might also change over time and between different countries, so it is important to compare the different offers and read the T&C for Casino Heroes before signing up. If you’re looking for a completely different online casino experience, then you’ve come to the right place. 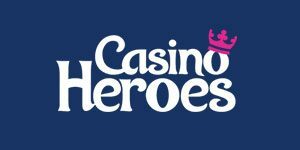 Casino Heroes was launched in 2014, and lets you explore a fantasy island while playing you’re favorite games. Choose your own avatar and visit 40 different regions which are unlocked by battling a series of bosses. Owned and operated by Hero Gaming Limited, you’ll get the chance to receive plenty of bonuses and promotions with the knowledge that a 24/7 customer support team is on hand should you need it. So read our review, take a step onto Hero Island, and see what this incredible casino has to offer. Casino Heroes gets its games from leading software developers such as Betsoft, Microgaming, NetEnt, and Play N Go. 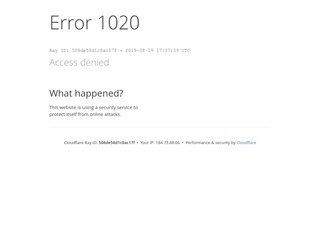 There are many games available on the site but you won’t be able to access them all straight away. That’s because you need to unlock them by defeating bosses. You won’t need to worry about downloading any software to play your favorite titles because the site runs instant-play software. Plus the latest SSL encryption technology is used to ensure your personal details are not going to be stolen. There are many great slot games that you can play during your journey through the 40 regions. The more popular ones include Starburst, Book of Dead, Gonzo’s Quest, Vikings go Berserk, and Twin Spin. You will also be able to find progressive slots such as Divine Fortune, Mega Fortune, Hall of Gods, Mega Moolah, and Fruit Bonanza. It has been known for players to win millions of pounds playing these type of games and each one includes plenty of bonuses and features to keep you entertained. As well as providing a plethora of slots, Casino Heroes gives you an opportunity to play various versions of roulette, blackjack, poker, and other games such as baccarat, and red dog. Unfortunately, we couldn’t find any other games such as scratch cards or virtual sports. One of the world’s leading game provider Evolution Gaming is the sole supplier of live games at Casino Heroes. There are plenty of tables here that will suit the needs of every player whether you’re a small-stake gamer or high roller. These include baccarat, roulette, blackjack, and poker. You can deposit and withdraw funds through a variety of ways. These include Neteller, Trustly, MasterCard, Visa, Zimpler, Skrill, and Eco Payz. All deposits are instant and the minimum is £10. As for withdrawals, the minimum is £20 and it may take up to three days to be processed. There’s also a clause that you have to wager everything you have deposited before you can withdraw any winnings. If you need help while using Casino Heroes then you will have the option to chat with one of the support agents. However, this feature is only available between 10:00 and midnight every day. If you require assistance outside of these hours then you can email the site. Alternatively, there is a detailed FAQ section which can be found on the site. This will contain information on different aspects such as bonuses, accounts, banking, and many more. Customer support is also available in English, Swedish, German, Norwegian, and Finnish. If you prefer to directly message the casino through your social media account, you can follow them on Twitter, YouTube, Google+, Instagram, and Facebook. 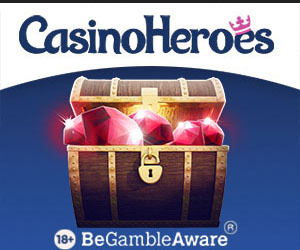 Here you will be able to keep up to date with all the latest news in the world of Casino Heroes.